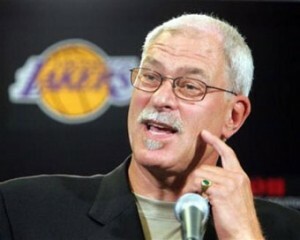 Phil Jackson speaking at a Lakers press conference. There have been several reports from different media outlets this morning, regarding the possible return of Phil Jackson to the Lakers to coach them for a third stint. Here are some of the recent media comments from Saturday morning. We’ll put up more info as we find it. 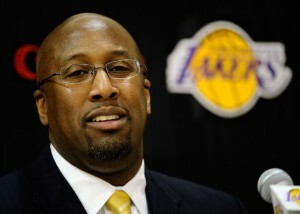 ESPN: Lakers Fire Mike Brown! Mike Brown being introduced in 2011. According to ESPN.com, the Lakers have fired head coach Mike Brown, after the Lakers’ Western Conference worst start at 1-4. No word on a permanent replacement, but word is assistant coach Bernie Bickerstaff will coach the team in the interim. The Lakers start a six-game homestand at Staples Center tonight against the Golden St. Warriors. 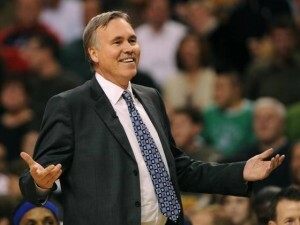 Let the Phil Jackson rumors start to swirl! While the season definitely didn’t end the way the Lakers or its fans expected, with a stunning Conference Semi-Finals sweep at the hands of the Dallas Mavericks, several Lakers did win some NBA postseason league awards that are worth noting.